The Flash is amongst the most troubled entries in the DC movie universe up to this point, but Warner Bros. is doing what they can to get it moving down the right track. John Francis Daley and Jonathan Goldstein of Game Night fame were brought on to direct last year and now we have word that they're also going to be rewriting the script. Additionally, a new producer in the form of Michael Disco has boarded the project as he has launched his own production company, The Disco Factory. Starting with Michael Disco, he's been working at Warner Bros.' New Line for nearly 20 years. He recently decided to venture out into producing and, because of his long-standing relationship with the studio, signed a two-year producing deal. He will be directly involved with two major projects right off the bat; The Sopranos prequel movie The Many Saints of Newark and The Flash. Warner Bros. Pictures chairman Toby Emmerich had this to say. "Michael Disco started working with us at New Line 19 years ago. He's one of those people you hope will be on your team throughout their career. He has always been passionate about and incredibly talented in both development and production, so it makes sense that he's chosen to segue into producing. I'm both proud and happy that he will be staying here and making his films at our studio, where he has been a beloved and trusted colleague." Bringing some new blood on board could be just what this project needs. So far, several filmmakers have come and gone. Originally, Seth Grahame-Smith was set to make his directorial debut with the DC Comics adaptation and that ultimately fell through. Then Rick Famuyiwa (Dope) spent time attached to direct and wrote his own version of the script. Once he departed, Joby Harold (King Arthur: Legend of the Sword) was tapped to do a page-one rewrite and it ultimately turned into a Flashpoint adaptation. Again, with this latest rewrite, that's out the window. Michael Disco had this to say about his new deal with the studio. "I am so grateful to Toby Emmerich, Richard Brener, Carolyn Blackwood and Walter Hamada for their incredible support in making this transition happen. I've spent my entire career with Warner/New Line and I'm thrilled to be continuing my relationship with the visionary and creative executives at both companies." The studio is now more focused on DC movies that can stand on their own, as opposed to worrying so much about building a heavily connected universe, given the success of both Aquaman and Wonder Woman. The studio shifted their strategy in a big way following the disappointment of Justice League. 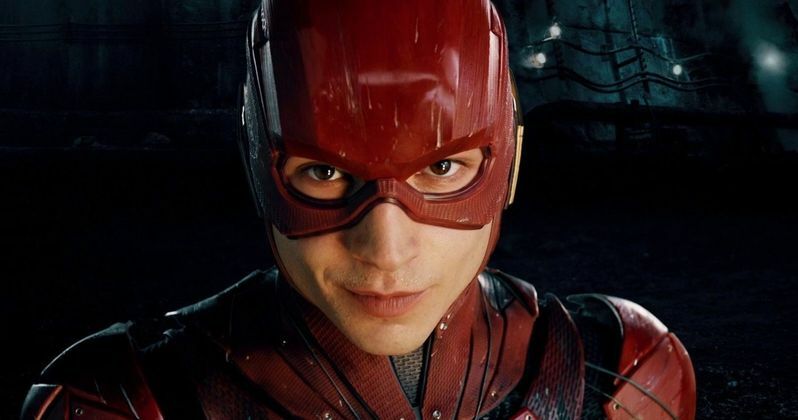 Ezra Miller made his debut as the Scarlet Speedster in the massive team-up flick. John Francis Daley and Jonathan Goldstein previously helped pen Spider-Man: Homecoming, in addition to Game Night, and both of those worked out quite well. Ezra Miller is still attached to star as Barry Allen and he recently promised this will be a gift to DC fans and that they're taking the time to make sure they get it right. The Flash is currently without a release date. This news was previously reported by Deadline.